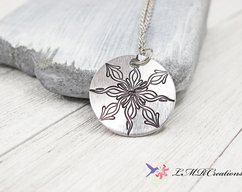 Wear this unique hand stamped star of peace mandala necklace to show that you are someone that cares about peace. 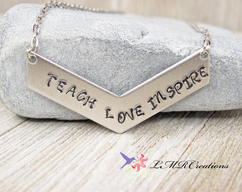 My aluminum jewelry is unique yet affordable, so you can add more pieces to your collection. Each of my necklace designs are individually hammered (by me) one hammer strike at a time. Every piece is done freehand so there may be some variations in the spacing and placement of the designs. 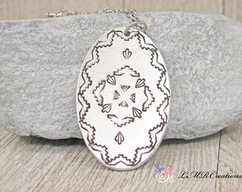 This is not to be considered a defect but, a part of the unique character of the pendant. 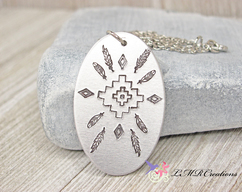 The pendant is 1 and 1/2 inches round. You can see the dimensions in the last 2 photos. 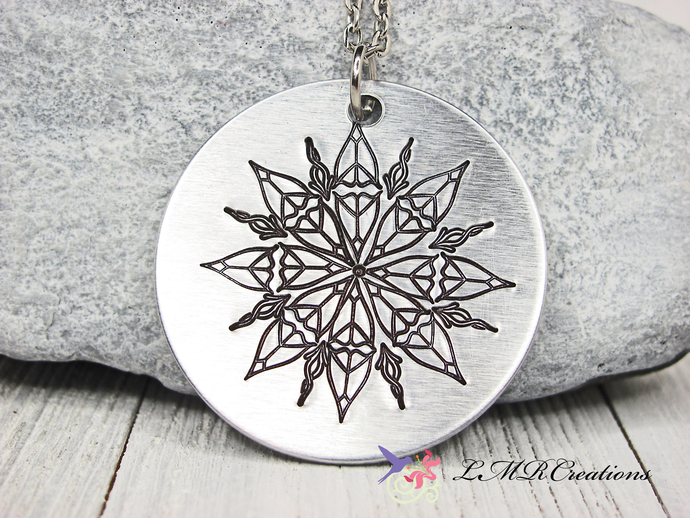 The pendant is made with 14 gauge aluminum. Aluminum is safe for most skins types. There is a much lower rate of skin reactions with aluminum. Aluminum won't tarnish. fade or change colors. Aluminum is also lightweight and easy to care for. I take great care and attention to detail in all the pieces I stamp.